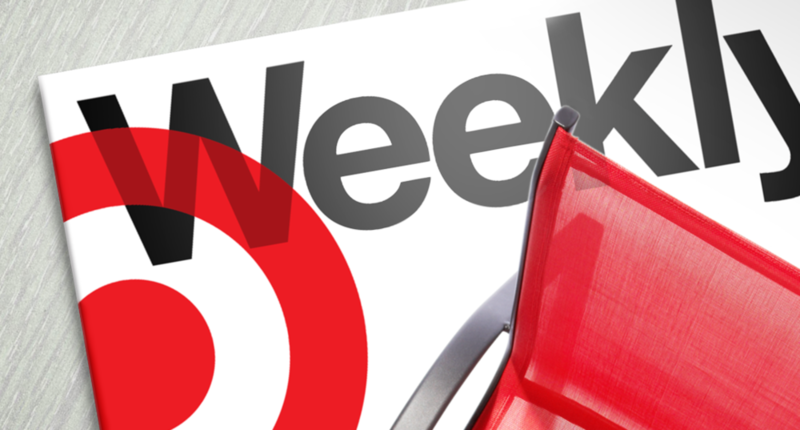 The Weekly Ad has always been one of Target’s most important value vehicles. To adapt with the retailer’s up-to-the-minute fashion positioning, it needed to evolve in pace with the brand. Using high-impact graphics and bold, compelling messages, TSG helped set a new direction and provide design tools to influence future layouts in a fast-moving retail environment. Every merchandise category received a fresh look as part of this project. Teaming up with Target Creative, we were given the opportunity to collaborate with a super talented group of people on a highly-admired brand. Using our diverse expertise and experience, we brought a new approach to the circular—removing, refining and elevating the presentation—making it both inspirational and promotional. We developed an modern magazine-style masthead to the cover for instant recognition and to contrast with other inserts. Curated product assortments, coupled with bold photography and pricing, brought attention to style and value. Our final design focused on the “fun of the find” and “thrill of the deal,” showing that Target has an energy and shopping experience that’s all its own.